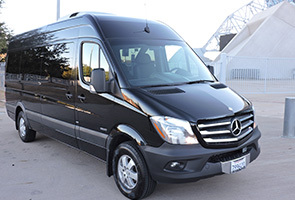 Rent our Mercedes Benz Passenger Sprinter vans. 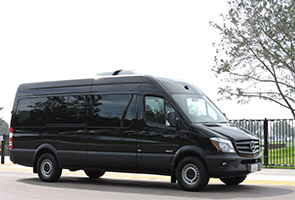 All of our fuel-efficient Mercedes Sprinter models are the benchmark of the large vans class. 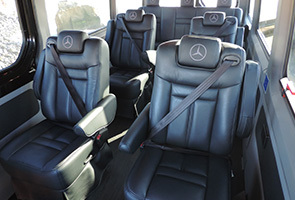 Luxury Business Class vans with reclining captain chairs are also part of our fleet. 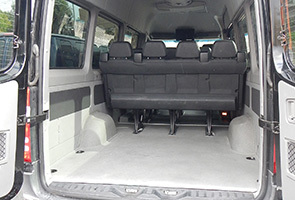 In addition, we have spacious Sprinter Cargo and Crew Cargo Vans, to meet all of your metro and personal needs. 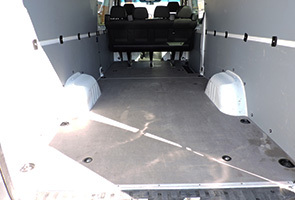 Both cargo vans are long, tall and have a 170″ wheel base with huge cargo spaces. 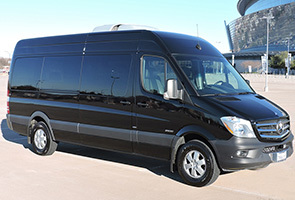 Right near the strip, our Las Vegas van rental station can be reached in just minutes from the Las Vegas International Airport (LAS). 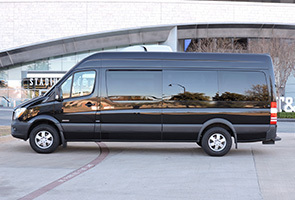 Note: The Las Vegas location has no rental attendant on site. Rentals are by appointment only. 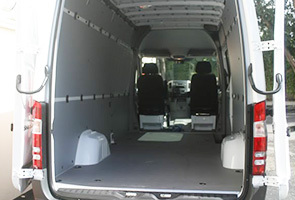 Vans are located in the corner of South Rancho Road and Meade Ave in our parking lot across from the Bridal rental store. 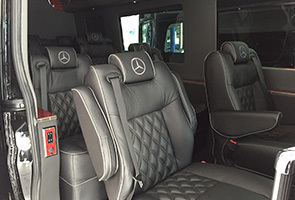 Our Mercedes Benz vans book quickly, so please reserve your vehicles in advance. 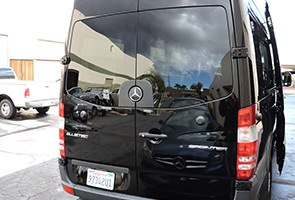 We had a great experience with Sprinter Rentals. We showed up at the lot location, followed the check out instructions and were driving off the lot within 15 minutes. 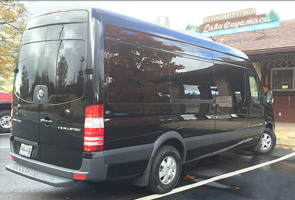 The Sprinter Van was beautiful, comfortable and served our group well during our road trip. 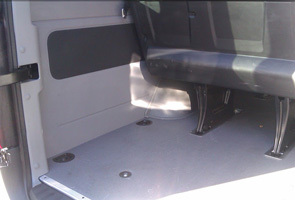 Returning the van was extremely simple as well. 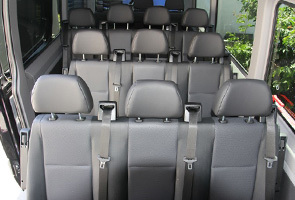 I recommend using Sprinter Rentals! 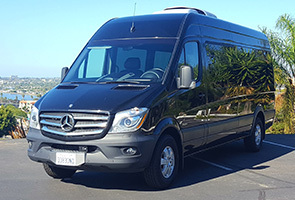 Our multiple families would like to thank Sprinter-rentals for the great vehicle and helping to make this once in a lifetime vacation the best ever. 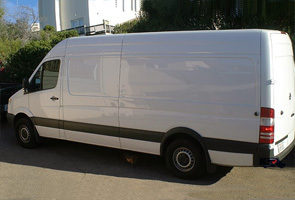 I hope I have the need for another van, and definitely will use Sprinter-rentals. Great experience. 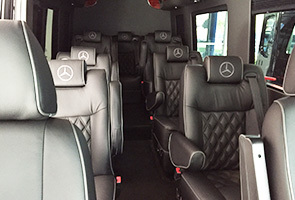 Very accommodating staff, easy pick up and drop off, It was a very comfortable ride, seats were great, luggage area is huge. 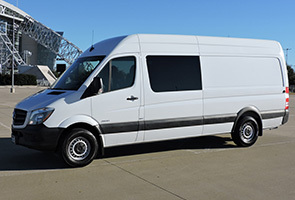 The only negative was that gas mileage was not nearly as good as expected from the information on the vehicle, we got about 17 to 19 miles a gallon, BUT considering how big a vehicle it is that is still good mileage. Additional Questions? 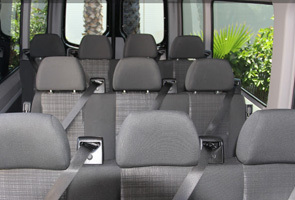 Check out our FAQ’s or contact us. 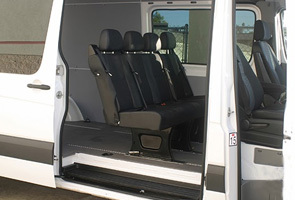 Meeting all of your transportation needs! 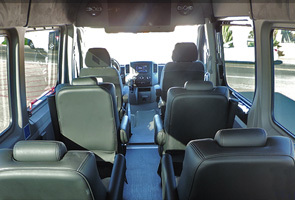 Copyright © 2009 - 2019 Sprinter Rentals, All rights reserved.